Are you interested in hiring a contract-based employee for your next project? Don’t want to stress about interviewing and finding the best candidate? Let our specialized recruiters at Profiles find the right talent for your company. Our contract employment agency has placed hundreds of temporary candidates in top organizations, many of which convert to full-time employees. Contract positions allow you to “try out” candidates before converting them to permanent employees. See if a candidate is a good match with your organization. At Profiles, we can help fill contract positions for you today. Are you looking for a contract employment agency in Baltimore, DC, Philadelphia or Richmond? If so, contact Profiles today to begin the recruiting process with one of our specialized Business Development Managers. If you're in need of creative, marketing, or technical talent immediately, you can turn to Profiles. Our experienced staffing agency can provide your company with top industry talent quickly for your next upcoming project. Our recruiters pick through a talent pool filled with candidates holding relevant industry knowledge and experience to meet deadlines and ensure your marketing materials are executed with the appropriate tone of voice and brand position. Contract-to-hire is a flexible option for hiring talent full-time, allowing time to test out if the talent is the right fit before your company commits to hiring. Each client’s needs are unique, not just based on the professional characteristics and qualifications of each candidate, but also on the timing and duration of each hire. At Profiles, we strive to understand your needs and provide the best staffing solution possible. If you are ready to contact Profiles today, simply fill out the form and we'll help you fill that position, today. I would like to receive monthly emails on Hot Talent and Hiring Trends? Profiles provides contract-to-hire staffing solutions for creative, marketing, and IT companies nationwide. Some of the positions we staff include copywriting, editing, content strategy, web design, web development, marketing, communications, engineering, quality assurance, web analytics, and project management. With our contract-to-hire solution you have the opportunity to test out employees before committing to a more permanent decision. The employee also gets an opportunity to see how they fit within your organization. It's a great option for both parties and allows you to make more informed decisions about new hires. Let’s take this relationship to the next level. Get in touch with us to get started and we'll get to work for you. Our recruiters are tapped into the creative, marketing and tech industries and can connect you with talented and qualified candidates sooner than you may realize. Contact us today. At Profiles, we understand the importance of a great team. To build a great team, you need the right people. 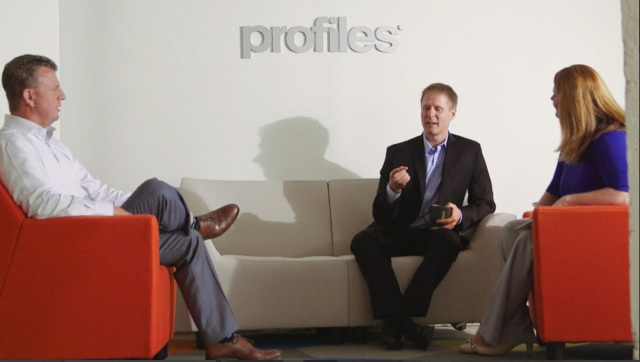 For over 17 years Profiles has provided companies with top talent to help grow their organization. If you would like us to do the same for you, contact us online today to get in touch with one of our Business Development Managers. Looking For Elite Marketing or Creative Technology Talent?